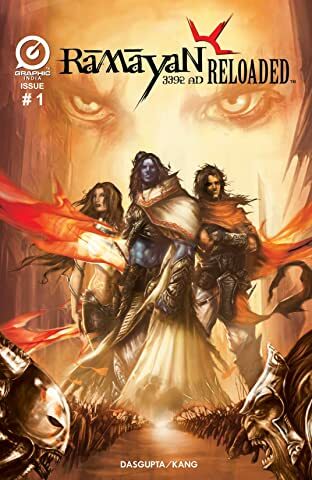 A story thousands of years in the making, a re-imagining of one of the greatest tales ever, retold in a post-apocalyptic future. 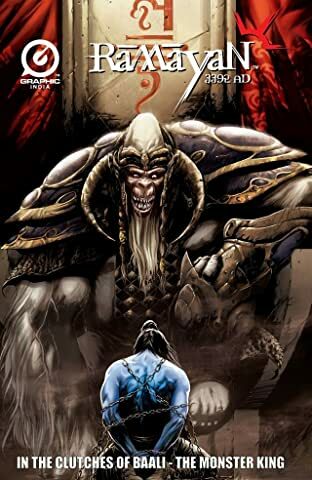 Rama, the prince of Armagar, was exiled from his home for surrendering the fort of Janasthan to Ravan's forces. 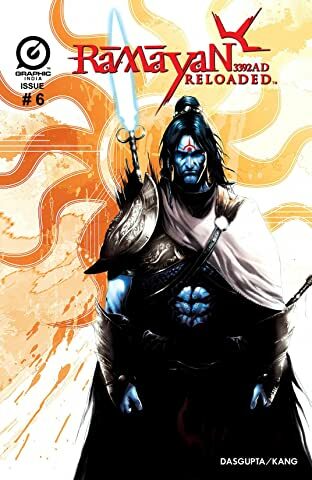 During his exile Rama comes to become the protector of Seeta, the daughter of mother earth. 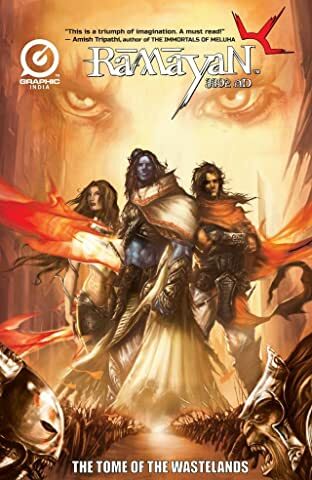 After Seeta was kidnapped by the asura prime, Ravan, Rama wanders aimlessly for a year serving as a mercenary for the rebels of Kishkrida led by the exiled Vanara king Shugreave. 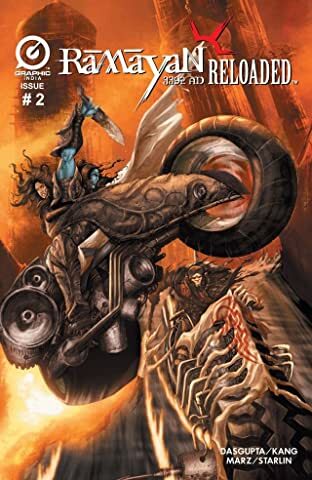 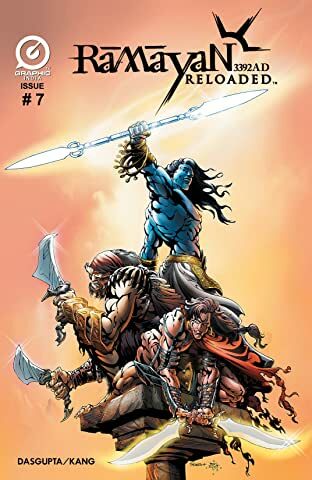 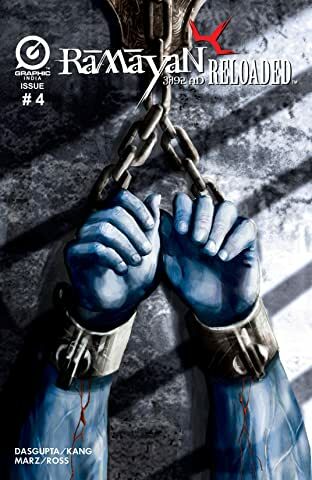 However, when the mad Vanara king Baali unleashes the dreadful and unstoppable Mahabali upon Shugreave's rebels, Rama and Shugreave decide to take back the throne from Baali, the Monster King of Kishkinda! 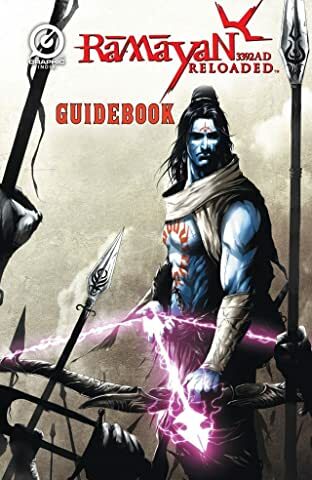 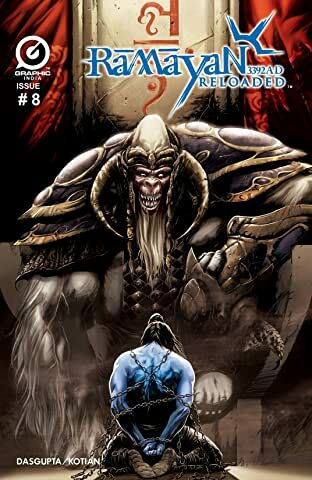 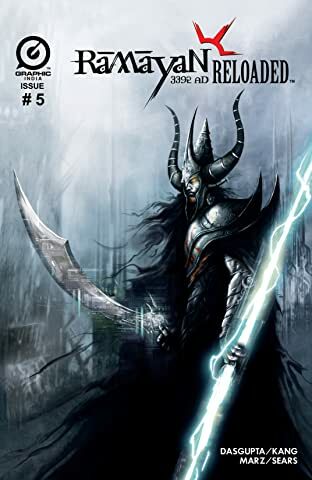 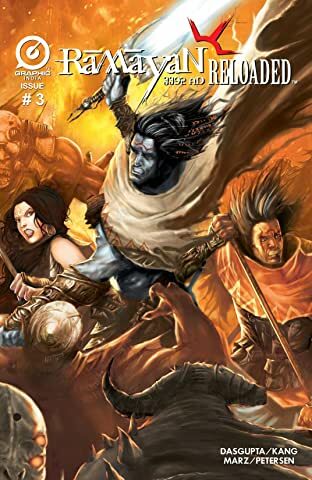 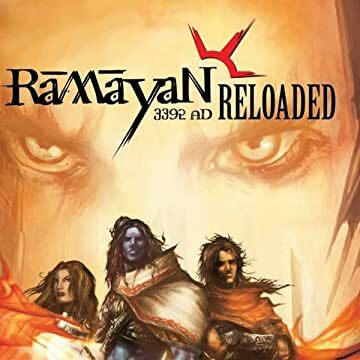 Ramayan 3392AD is an epic adventure that has been called 'India's answer to Lord of the Rings' by Times of India and features a surreal cast of fantastical creatures and spectacular battles, all within an astonishing quest to save humanity from darker evil than the world has ever encountered before.